After donating his 1986 Tony Hawk pro model Powell-Peralta deck to the Smithsonian Museum of American History back in 2011, skateboarding legend Tony Hawk has just donated his first skateboard ever. 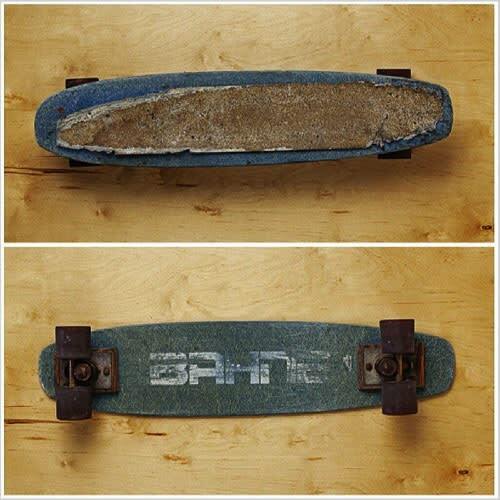 The board is a blue Bahne that was handed down to Hawk from his brother Steve around 1977. The wheels are completely rusted and you can barely make out the brand name on the bottom of the deck, but that doesn&apos;t take away from the fact that it&apos;s the skateboard that birthed an icon. The board will officially be handed over on June 22 during the Iconoskate Festival, a celebration of the history, innovation, and creativity of skate culture.